Freaking Out. This eye-catching title promises a new and interesting perspective on the decade following 9/11. Unfortunately, Joshua Woods offers the reader neither a new perspective nor an interesting one. Mr. Woods’ political rhetoric simply beats the tired old Bush-bashing drum beaten by so many liberal writers before him, and his scientific analysis is characterized by wordy restatements of the obvious. 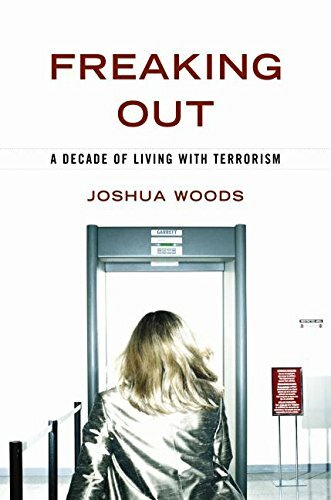 In Freaking Out, Mr. Woods attempts to analyze the effects that the 9/11 strikes and the threat of terrorism have had on both U.S. and global society over the last ten years. He draws much of his analysis from his and other researchers’ studies of press articles as well as statements by societal leaders. Additionally, Mr. Woods conducted an experiment using subjects from a university campus. Unfortunately, he allows his own left-wing political bias to affect his results, in some cases to the point of absurdity. In one extreme example, Mr. Woods examined 46 speeches by President Bush in the days following 9/11. Instead of “fear mongering” phrases overstating the terrorist threat, he found that the president filled his speeches with statements of hope and optimism. Shattering his own credibility, Mr. Woods then concludes that President Bush was “hope mongering” in some devious plot to make his administration’s “fear mongering” more effective. Outside the boundaries of analysis, Mr. Woods’ political bias becomes even more apparent. With inflammatory prose he ridicules the FBI, equates U.S. forces with terrorists, and calls an American missile a “suicide bomber.” This rhetoric never slackens—right down to the final pages in which he offers a misguided description of an Air Force Remote Vehicle pilot, demonstrating both his ignorance and his disdain for U.S. military operations. Even when the leftward leaning that leaves his conclusions entirely off balance is put aside, Mr. Woods’s studies and experiments still fall short of useful science. His results serve only as lengthy explications of the patently obvious. The prevailing theme of Freaking Out is that any terrorist threat is overstated and any entity that discusses a terrorist threat has some dark ulterior motive to steer the public toward violent action. James R. Hannibal (pseudonym) is an USAF trained Islamic Terrorism expert, former Stealth Bomber pilot, and the author of Wraith (TotalRecall Publications, May 2010).